Everyone’s adapted to using social media, from yours truly to the last few presidents of the United States (for better or for worse). Sports—including fans, athletes, teams, and leagues—have adapted to social media, as well. But what’re the most popular major American sports leagues on the major social networks? For this post, I define “major US sports leagues” as baseball (MLB), football (NFL), basketball (NBA), and hockey (NHL). Globally, I’m sure soccer eclipses all of these sports in popularity. 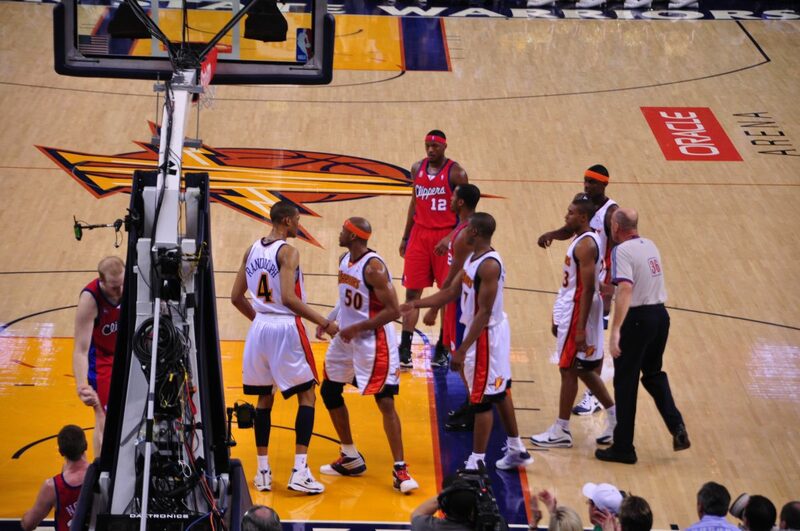 Interestingly, the NBA’s very popular on Facebook, with over twice as many likes as the NFL. Baseball trails by some distance, but still manages to beat out hockey. Once again, basketball reigns on Twitter, though by a much narrower margin over football than on Facebook. Baseball and hockey trail much further behind; baseball has not even a third of football’s followers. Hockey seems pretty close to baseball, however. 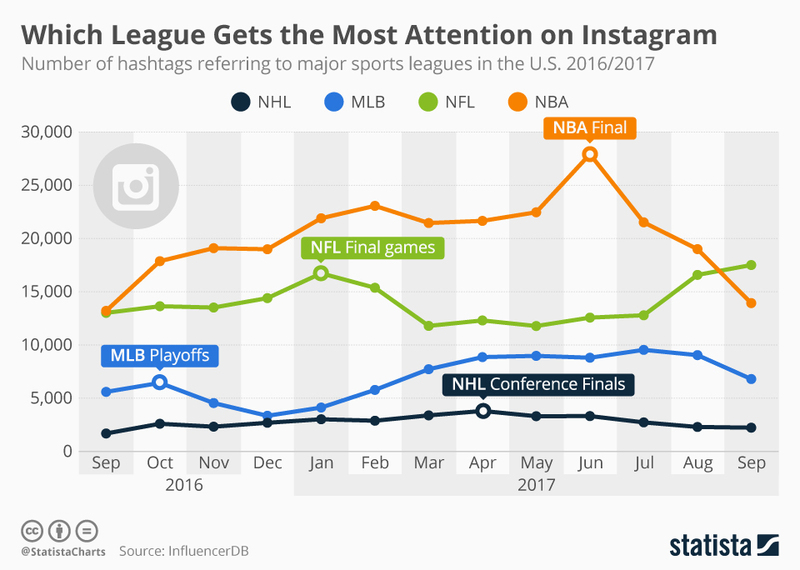 Statista speculates that basketball fans getting to sit closer to the action (versus seating at football games) and thus improving smartphone-based photos helped boost the NBA’s Instagram popularity. I’d also note that basketball season runs from October through the championships in June; that’s much longer than football, which runs from September through the Super Bowl in early February. Ultimately, basketball’s the most popular US sport on social media. I wonder if that’s from basketball’s expansion in popularity overseas. Meanwhile football’s still seen as a rather American sport (despite the NFL trying to play games in London); baseball’s popularity’s waned from its height decades ago; and hockey’s very popular in Canada, but trails the other sports in the US. Previous Post:Why isn’t there more cursing in DC and Marvel comics? Wow, the NBA really blows away the MLB on social media. MLB is by far my most favorite sport, so this is quite revealing to me. I just like the slower pace of baseball–which is against the grain of the popularity of other sports like the NBA.